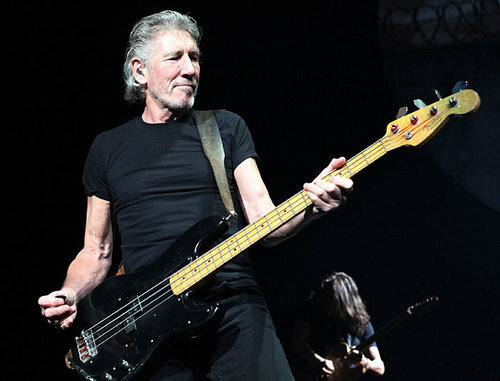 Roger Waters, one of the founding members and chief components who greatly contributed to the mind-blowing success of British psychedelic/classic rock unit Pink Floyd, celebrates his 69th birthday today. In a way, Waters stands alone as a musical architect. His lyrics to some of the most memorable and well-made rock records of all time, bass playing, and British proper nasal vocal inflections are some of the high watermark achievements in music. Approaching music first with a keen psychedelic edge during the fad of the genre during the late 1960s, and then cultivating those sounds with a dark, spacier edge which became the Floyd trademark, Waters has helped create a body of work that is not only successful, but also had the keen foresight to become dazzling in a critical sense as well. Floyd records have the luxury of not only selling in the millions, but also for being regarded and lauded as some of the most ultimate records ever produced.